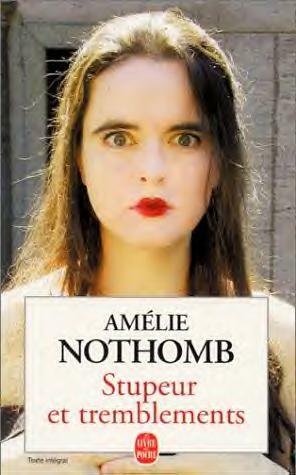 I first heard of Amelie Nothomb some years ago over on The Complete Review. This site has long offered a daily resume of what's what in the reading world with an eye on the more unusual books so a good source for the lesser known novel. I set their daily updated Literary Saloon as my home page every so often to keep in touch with it all, they have an ascerbic wit and don't suffer fools gladly in the world of publishing.Then up popped Amelie again in my comments here and that was enough of a prompt to read some. In size and ambience they remind me of those lovely books by Francoise Sagan that had me addicted in the 1970's. 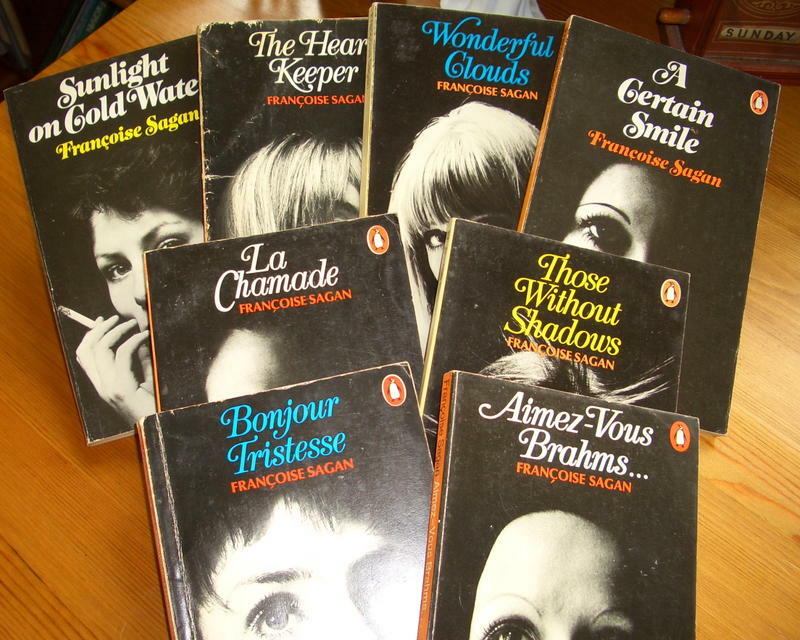 I still have my faded, tatty old collection of Penguin editions when 25p seemed a lot to pay for a book, Bonjour Tristesse, Aimez Vous Brahms, Sunlight on Cold Water. All digestible in one sitting and leaving you with the deep impression that only a book which can be read in this way does, and then of course you want to read them all. Fear and Trembling was the first one I opened (no I didn't read it in French but you can) and immediately I was plunged into the strange world of Japanese corporate life seen through the eyes of a Westerner and surely a thinly barely disguised account of Amelie Nothomb's own experience? Amelie is employed for a year as the office dogsbody but clearly has talents far in excess of those required. For openers her fluent Japanese causes dismay amongst the clients and she is asked to forget it and pretend she doesn't understand.Humiliated and constantly demoted to increasingly menial tasks as a punishment for showing intuition and common sense beyond the ken of her employers, Amelie spends the final few months of her employment cleaning the toilets.Of course this backfires spectacularly on the occupants of the offices on the 44th floor who are then too embarrassed to use them so have to waste valuable company time trekking off to those on the 43rd floor.It hardly sounds like enough to make a novel but Amelie Nothomb does just that, presenting a world that appears by turns, both funny and ridiculous if it wasn't quite so frighteningly serious and just possibly true. I have no idea whether this is an accurate representation of Japanese corporate life or a caricature and wonder whether any of my Japanese visitors here might be able to enlighten me? Whatever, this was a great read and I'm up for more Amelie Nothomb which is fortunate as I bought 4.